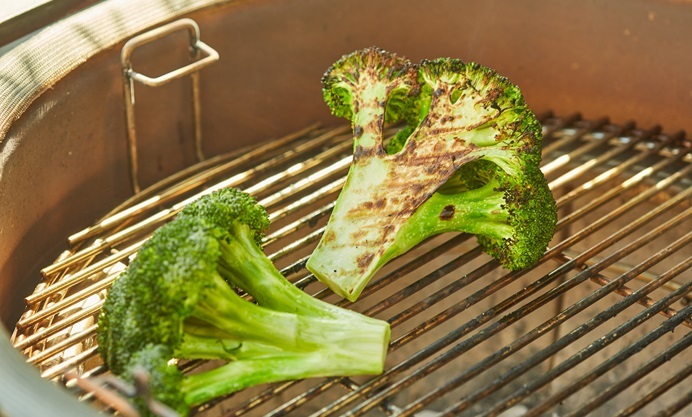 We tend to think of broccoli as being quite delicate but it's fantastic on the barbecue, developing lots of blistered, smoky flavour. 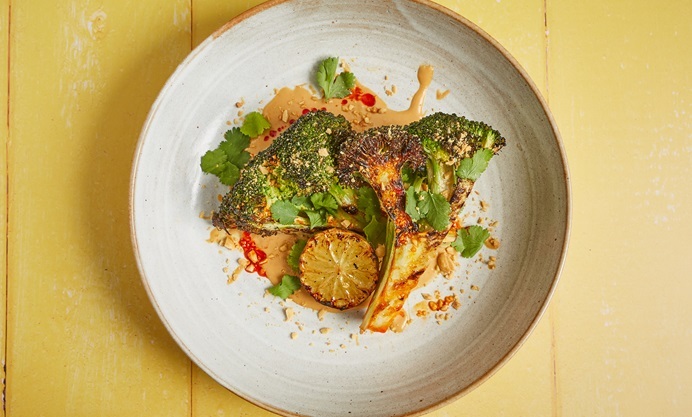 This vegan recipe builds on a fantastic pairing – broccoli and peanut – and adds layers on top with a tangy peanut sauce, smoked peanuts, chilli oil and fragrant coriander leaves. 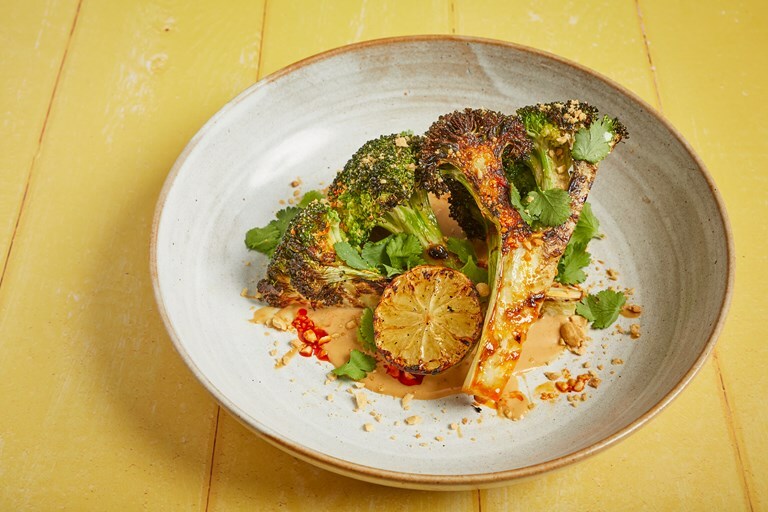 It's worth smoking a big batch of peanuts for this recipe as they keep well and taste delicious, even though you only need a handful for this dish. 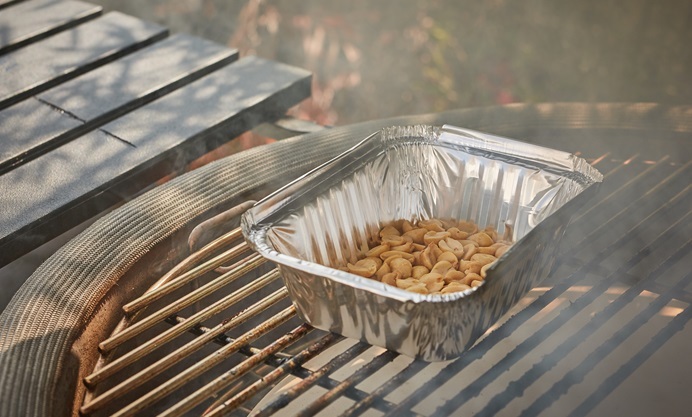 They're a great thing to prepare when your barbecue is cooling down after cooking something else – simply place a dish of peanuts on the grate, add a few wood chunks to the coals and let them smoke in the barbecue as it cools down.